He has earned great knowledge and enthusiasm in Tourism with having more than 24 years of significant experience which has led him to run Trexmount Ventures Successfully. 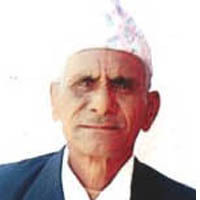 He was born in a small village of Dhading District. He came to studied in the University at kathmandu after completing his school in the village, He has started working as part time in the Trekking company to support his study, his passionate to explore areas came true with working in Tourism. Later, He has started carrier with guiding people into the tour & trekking in Nepal after taking Guide training course from ministry of Tourism in 1993. After the Years of Field experience & the help from Satisfied Clients he has started own touring company in 1999. His travel passionate made him visit into Belgium, France, Germany, Netherlands, Mainland China, Tibet (china), India and Bhutan to extend the business associations overseas. His extensive travels add & realistic knowledge giving more opportunity to be Ground handler of many overseas Travels Companies for Nepal, Tibet and Bhutan. Apart from this, He is also involved into many social works projects to the needy village, Schools and orphanage together with his clients, Rotary Club & Personally. She is looking after the operation & coordinates each Trips to ensure the comfort, safety and logistics. Her Pleasing personality makes comfortable to work in friendly atmosphere for every one. 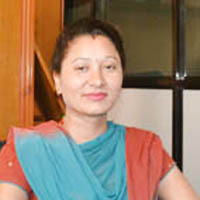 She has born in kathmandu and joined the company in April 2007. 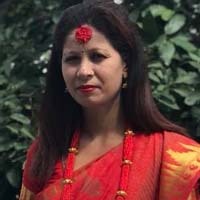 She loves traveling specially the freshness of nature & rural life in the countryside which has made her dreams came true with visiting into many touring places in Nepal & India. 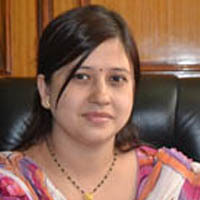 Her extensive knowledge in management helped lot into the successful operation. Sabina has joined us since June 2017, She loves meeting people and like to travel into new destinations, she has visited many parts of Nepal as well as India, Thailand, Singapore, Germany, France and Italy. Her extensive knowledge, Friendly behavior and diligence work gave sounding impute after her presence in Promotion, Sales & Marketing which has made her one of the key administrative in the Company. Shova is working as Travel Planner with us since May 2014. She is assisting and looking after the trips Reservation and arrangements for Trekking, Tours and Climbing. Her diligence work in planning the requirements will make all the trips running successfully. Indira is a very genius member in the company. She has been working in the company as an account Assistant and office administrative since 2007. Her loyal behavior and Professional work sorting all the work easily with her hard working Nature. Tek is an one of the senior member of the company, he has been working since the company established. He have been handling all the accounting section successfully. His extensive knowledge, energetic personality and friendly behavior made lovely journey with us. 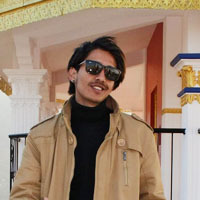 Ram Bikram is a young & very energetic personal in the Company, he has started guiding since October, 2009. 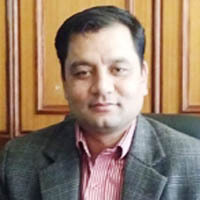 He has taken various guiding related Training course including the one from Ministry of Tourism. He is very knowledgeable in history, culture and customs. He is an adventure lover, Loves to play sports, travelling, Reading and watching movies. He has great sense of humor and amazing informative mind. He has been getting great feedbacks from his professional work & friendly behavior. 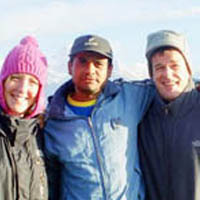 Tilak is an one of the senior Trekking leader who has started Guiding since 1992 & Joined into our Company since 2004. 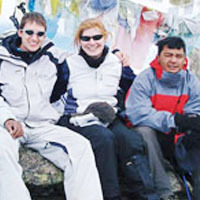 He has taken all the essential guide training and license for trekking and tours. He is not only guiding easily and simply but also describes the things humorously & professionally. 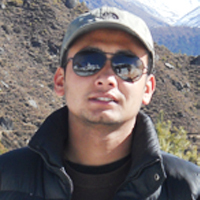 He has has got warming personality with friendly behaviors which has made him one of the good Trekking Leader. Jhamka has extensive knowledge to lead the trips. 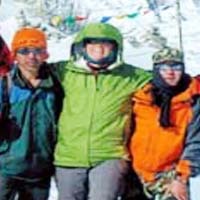 He has Joint us since 2007, he has done almost all trekking destination in Himalaya, where his out most experience counts in taking care and leading groups successfully. Jhamka has been trained trekking Guide, he is well informative versed in Eco-trekking, culture, religions and customs of each trekking destination. He has gone through several workshop and training which is helping him to be a great leader in the trekking arena. 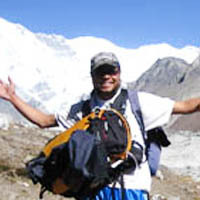 Rajendra started his guiding career since 2003 and Came to join us in 2008. He is a veteran & very knowledgeable in Leading the tour and Trekking. He is very attentive for any sort of work and doing his best to avail the services of high quality. His extraordinary knowledge made him very popular choice among his past clients. He is trained by Ministry of Tourism and have Fluent English speaking with extensive experience. 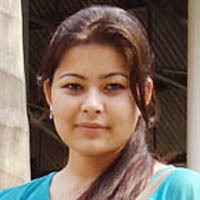 Sumitra is an young administrative joined the company in October 2012. 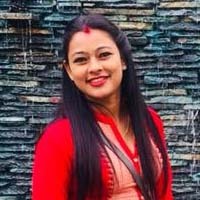 She is helping all office stuffs with corresponding of office matter and assists the executives for handling visitors and callers, as she is a student of Bachelor in economy she is also assisting in office account. Apart from work, she is an nature lover, like hiking, cycling and playing volleyball. 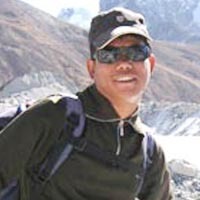 Bhim has got long experience in trekking field since 2002 however he came to join us in September, 2015. He has taken several training’s course related for trekking, He is also trained Trekking Guide from Ministry of Tourism in 2006. He is fluent in English, and has got strong communication skills with vast knowledge for making safe and sounding holidays in the Himalaya. Sachin has been working hard to promote our Web Brand since March 2016. He is looking after all the promotion & update into our website. Apart from this, He is helping for any matter in the office and looking after the Airport Transfers (picks up and drop out for departure) for clients. He is very knowledgeable diligence young member in to our team and performing well in his works. Suresh started working as Cook since 2001 and up graded for Trekking Guide since September 2008 after Guide trained from Ministry of Tourism Training Center . Suresh is very fun loving friendly fellow with great entertaining nature. He makes lots of Jokes with friends and Clients which has made the spend with his goes nicely, so one wouldn’t get bored to accompany. Suresh has good knowledge in culture, religions, History as well as he is very good to explain the things you experience of respective area. 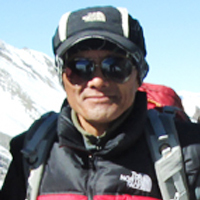 Dawa Sherpa is our one of our senior trekking and mountaineering guide. He is specially leading the trips to the high mountain Climbing. He was born in high mountainous district Solukhumbu. He has working in trekking and peak expedition field since 2004. He has done special mountaineering course to climb into the high mountains in 2006. Dawa has started guiding since 2007 in our company. He has developed his career as mountaineering guide because of his keen interest in mountaineering and expedition. He has climbed several Mountains Peaks and Even few high mountains above 8000m high in Nepal. He has great knowledge to handle the situation and to recognizes individual preferences of the group members while climbing into the Peaks. His hard working personality has made successful Expeditions into each tour from his side. Shiva started guiding with us since 2015. 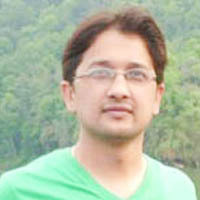 He is young and energetic, friendly and knowledgeable with great sense of caring attitude. He has taken several training for Responsible Tourism and also taken Trekking Guide Course Training from Ministry of Tourism. He have done almost all the trekking destination of Nepal. His professional work and charming personality will add charisma for successful Holidays. Ram is a adorable Trekking Guide since he joined us in 2007, His Knowledge in Trekking with friendly behavior has made him a good Leader. Ram has trekked in every nooks and corners around Himalayan in Nepal. He has great informative nature, handling the situation with it’s necessity, responding all the clients with cheerful smiles. 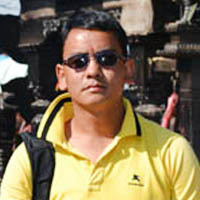 Sakul has been working with us since 1999; He has guided hundreds of tourists from around the Globe successfully, His long experience with hardworking attitude, Friendliness with sense of humor in hospitality gave him great Feedback from his every tour which helped him to be one of the senior Guide in the Company. 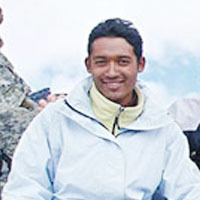 He has taken various Training courses relating to Trekking & Tours in Nepal. He has also great knowledge in Flora and Fauna, Culture and history. Bishanu is cooking the meals for Camping trekking, Home stay in rural village and Climbing section who has been started since 2012, after taking training course on cooking. He is serving varieties of meals based on continental, Chinese, Indian and Nepali. He do apply different varieties of meals each day, so the clients are very impressed in his cooking skill.